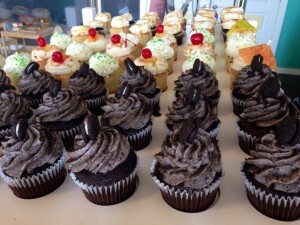 Miss Moffett's Mystical Cupcakes are made fresh daily with flavors for every pallet. 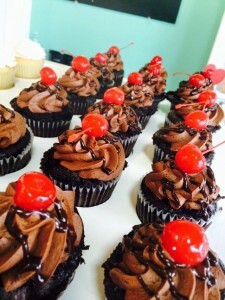 Miss Moffett’s Mystical Cupcakes has three locations throughout Thurston County. While some of the risks have paid off, like the decision to open a storefront in the Capital Mall and a partnership with Elle’s Floral Design in the Lacey Fred Meyer Complex, others have not. 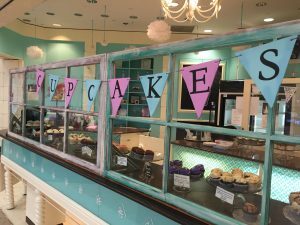 In early 2015, Miss Moffett’s Mystical Cupcakes opened a booth on Joint-Base Lewis-McChord, only to close it several months later. Each turn in the road has been an enormous learning lesson, and with that comes a “seasoning,” and an opportunity for deeper understanding. Over time, I’ve learned to appreciate these “learning opportunities,” to listen to my instincts, and to allow for things to brew for a while before jumping in and taking a new risk. I find that taking risks can be exhilarating. It’s exciting to imagine what lies just beyond the next turn in the road. Recently, Miss Moffett’s took a very big risk. In fact, it’s our biggest risk yet. When I began baking for customers in 2012, gluten-free was a rare request. Yet, I developed recipes just in case I had a demand for gluten-free cupcakes. 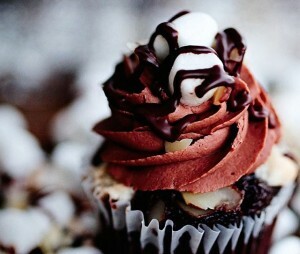 The first time I experimented with this type of cupcake, I was astonished at how good they tasted. They were moist, flavorful, and had a fabulous texture. I remember eating a whole plate of them because they were addictive: better than the regular cupcakes, in fact. Gluten is a mixture of proteins found in wheat and other related grains. When I experimented with making gluten-free cupcakes, instead of using regular all-purpose flour or cake flour, I used ingredients such as rice flour, corn starch and tapioca flour. During the next few years, I noticed a large increase in the demand for gluten-free products. While a few people would say, “Oh, it’s just a fad. Gluten intolerance isn’t real unless you’re diagnosed with Celiac disease,” others would come into the shops, with tears in their eyes, so grateful for the chance to eat delicious gluten-free cupcakes that tasted like the real thing and wouldn’t make them feel ill. And I recall one guy who jokingly asked for extra gluten. Funny. He ate a gluten-free cupcake and loved it. Soon, we had to start making more gluten-free cupcakes to keep up with the demand. 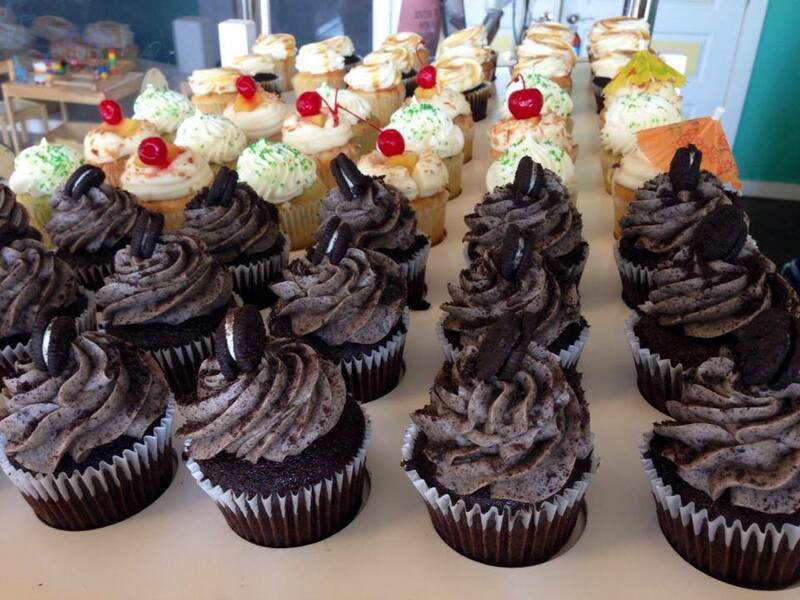 Indulge your sweet tooth at Miss Moffet’s Mystical Cupcakes. Then in 2014, my mother, who originally helped me start my business and was a very experienced baker, decided to cut gluten from her diet. She had been feeling a lot of pain and discomfort with digestion for several years. After she removed gluten from her diet, she was amazed that she started feeling so much better. Also, whenever she ate something with a little gluten in it, the old digestive pains would plague her for a few hours or even a few days. I took the plunge and decided to cut gluten out of my diet. How ironic is it to own a bakery and not eat gluten! But I felt so much better. And, like my mother, when I accidentally ate something with a little gluten in it, my body would punish me for it. I was finally able to relate to those customers with tears in their eyes who were so grateful to finally be able to enjoy a cupcake. Cake is a cultural tradition. It brings us together. We use it to “break bread” when celebrating the important milestones in life: birthdays, graduations, weddings, anniversaries and baby or bridal showers. But not everybody can indulge in this tradition. More and more people in our society today are experiencing gluten sensitivities that make it unbearable to partake in the sweetness of these milestones. I don’t think they should have to sacrifice this cultural tradition. As I discovered and began listening to my own body’s sensitivities, I became passionate about providing baked goods for people with dietary restrictions, food sensitivities, and allergies. I began to wonder if, at some point, Miss Moffett’s Mystical Cupcakes could offer gluten-free cupcakes only? Would people notice? Would they stop coming? The idea swirled inside of me, and I let it brew for quite some time. I began noticing how often people would say things like, “Your gluten-free cupcakes taste better than your regular ones. 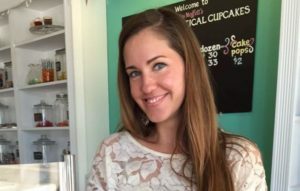 I like them a lot more, and I’m not even on a gluten-free diet!” I started sharing my idea of becoming an all gluten-free bakery with trusted advisors, employees, family, and friends. Their responses were consistently positive: It just made sense. This May, we decided to make the transition. We stopped ordering all-purpose flour and cake flour from our supplier. We found a supplier who could provide us with bulk quantities of our gluten-free ingredients. We deep cleaned and sanitized our pans, equipment, and kitchen. We did it. We became a truly gluten-free facility. In fact, even our cinnamon rolls, vegan cupcakes, paleo cupcakes and French macarons are all gluten-free! We also adjusted our flavor options and discontinued all flavors containing peanuts. Thus, we are now a peanut-free facility as well. In fact, the only thing in our shops containing any tree nuts at all are the French macarons, which are made from almond flour. Since the transition, we have been amazed at the customer feedback. People are enjoying the cupcakes even more than they did before. The gluten-free cupcakes are simply better tasting than our regular cupcakes had been. They are more moist, flavorful, and have a nicer texture. Miss Moffett’s Mystical Cupcakes are made fresh daily with flavors for every pallet. Our gluten-free customers are so excited that they can pick their cupcakes from the large display case instead of a little platter off to the side. The flavor options are so much more expansive. Even I’ve been eating more cupcakes than usual because of all the mouth-watering flavor options. I can’t tell you how many times over the last six weeks I’ve seen children come in to one of the shops with a parent, looking for gluten-free cupcakes. When we tell them that everything is now gluten-free and they can pick whatever they like, their faces light up and their eyes become the size of saucers. The joy and elation is so contagious, that everyone in the shop can feel it. It’s an energy. A sense of relief. An absolute celebration! I took a risk, in fact, it’s been the biggest risk I’ve taken thus far in my business. But so far, the evidence is pointing to the fact that there is a need for this in our community. A desperate need. My dream is to be a world-renowned gluten-free bakery, where people with or without dietary restrictions can come to us to help them celebrate their life’s milestones, to celebrate and break bread with one another, to make “sweet connections,” and, most of all, to create happy memories for generations to come.